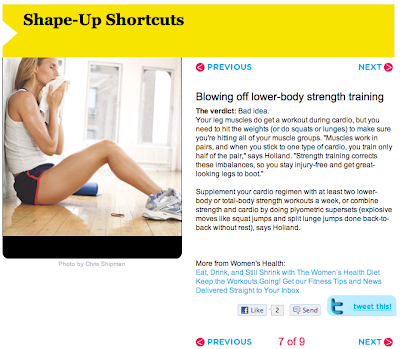 BRUONIS: Workout Cheats: Good or Bad? You know the age old sayin' "You don't cheat anyone but yourself." Is it really true? Are there things in your workout that you can do that will not change the outcome either way? Sure. But there are also some cheats you should avoid, because in the end it really does hurt your workout. One thing I know a lot of women are guilty of is the I don't need to workout my legs because I am already doing so in my cardio. 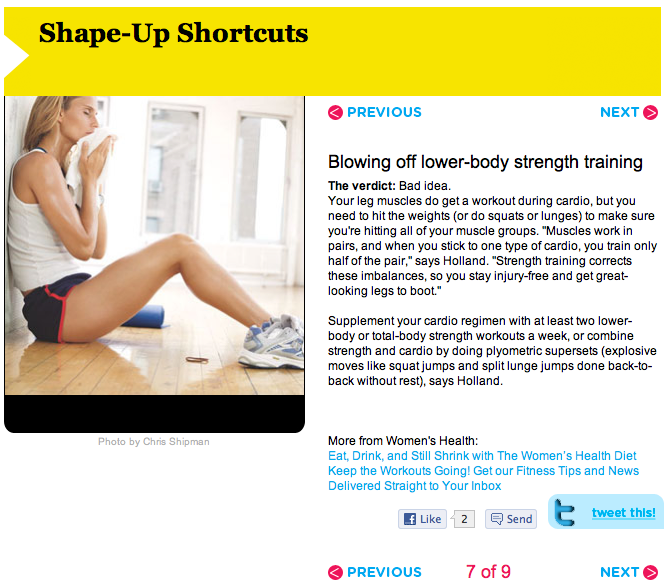 This is something that is not such a good idea according to a Women's Health article. Your body needs the strength training to balance out the strength of your muscles. You wouldn't want to look lopsided would you?